I've been a longtime fan of NYX Cosmetics and the fact that they are now available for purchase in Ireland is terribly exciting. I first heard on the grapevine almost 2 months ago that some shiny NYX stands were popping up in various locations down the country, and I waited eagerly for news of some Dublin stockists. I couldn't wait that long though, and I ended up driving to Mangan's Pharmacy in Sallins, Kildare to get my NYX fix. So delighted was I with the pieces that I picked up that day that I went in search of another NYX stand, this time getting himself to bring me to Santry to Neighbourhood Pharmacy in Northwood Business Campus, and there I was delighted to find a fully stocked NYX stand with swatches galore- I was in my element, particularly when manfriend made himself comfortable in Costa. All that rambling aside, the moral of the story is that I have picked up lots of NYX pieces and I'll show and tell over the coming weeks so you can add to your wishlists for whenever NYX stockists get their acts together and roll out more stalls. Today I have one of my favourite ever NYX offerings to show and tell, the NYX Matte Lipsticks. 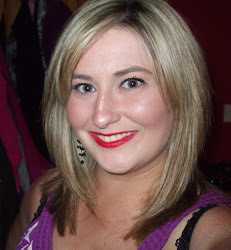 I have tried alot of NYX lipsticks- at one stage, I owned over 30 of the Round Lipsticks. I like the NYX round lipsticks, and these are also available in Ireland, but they do not come near the pigmentation of the matte lipsticks, and I found them just a little too creamy and emollient to be able to relax and enjoy myself when I was wearing them. Oh the glorious pigmentation. These are the most pigmented lipsticks of all time, and if you are looking for lipsticks that are not really that pigmented, look the other way. Have I emphasised enough how pigmented these are? Actually, don't just take my word for it, check out the swatches below- one single swipe folks. These lipsticks cost €7.49 in Ireland, £6 from the NYX UK website and the dollar prices varies, but boy are they worth every single cent. Now the packaging is a bit cheapy- black plastic with a see through middle, quite similar to the ELF Essential lipsticks. The lids in all of them bar one are quite sturdy so it's not that I would worry about these falling apart in your bag, but I would be careful not to drop these! But back to the good points- not only are they amazingly pigmented, they apply evenly and opaquely, and they last incredibly well also, fading to a tint, not coming off like patches. I also find if you blot a little when you apply these lipsticks, the lipstick doesn't transfer terribly to cups or glasses/ your sandwich/ your significant other's beard. My personal favourite colour that I have reached for time and time again is Merlot (obligatory mugshot below), I adore this colour and I have nothing else like it- MAC Craving is slightly pinker. This is probably the least seasonally appropriate lip shade to wear but this is the one I sported today in our 22 degree heat. When I bought my Benefit They're Real Push-Up Liner, I bought it with the intention of getting more wear time with my new favourite lipsticks. Have you tried any of these NYX matte lipsticks yet or are there any on your NYX wishlists? I've never tried any NYX lipsticks but they seem to be great quality. Merlot is gorgeous and it looks beautiful on you!